Vaishali Nigam Sinha, Director of iCharity recently spoke at the Business Today Most Powerful Women in Indian Business award ceremony held at the ITC Grand Central in Mumbai on August 13, 2014. 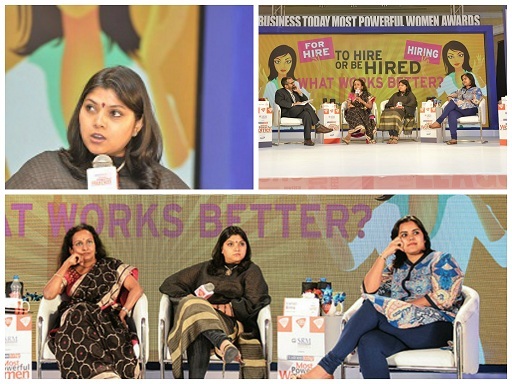 Vaishali was a part of panel disucssion:To hire or be hired: What works better? especially for women in the corporate world. Vaishali, along with 3 other leading women entrepreneurs, spoke about their experiences with entrepreneurship and the challenges they faced when they embarked on the path of entreprenuership. Vaishali spoke about her journey from investment banking to iCharity and what made her to choose entreprenuership vis-a-vis social sector over a career in banking.